Seven-year-old Lucas just wants a snuggle buddy. 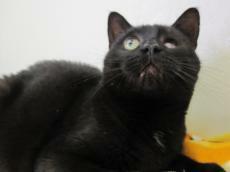 Affectionate with kids, adults, and other cats, this shorthaired sweetie is as loving as they come. He’s neutered and ready for a devoted family. Lucas is available for adoption through Livingston County Humane Society in Illinois.